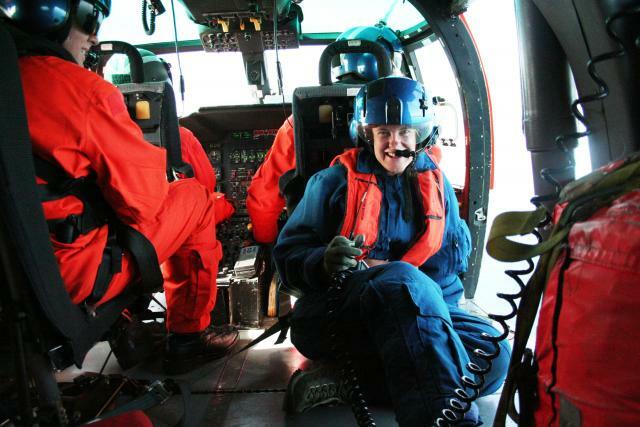 A UCSC graduate student aboard a US Coast Guard helicopter is shown collecting aerial photos of the Alaskan Kodiak Islands shoreline for use in land-based geological mapping. In this remote region, small planes and helicopters were necessary for efficient field work operations. Image courtesy of Casey Moore, UCSC.